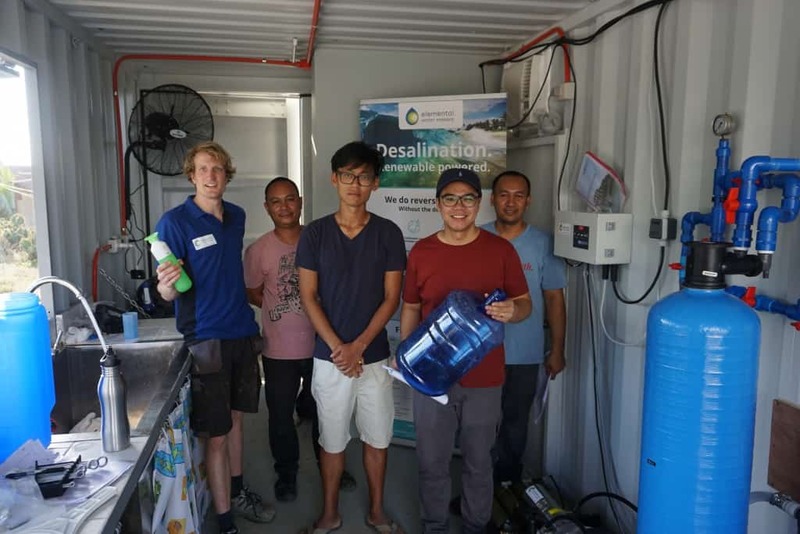 Water kiosk using solar-grid desalination. 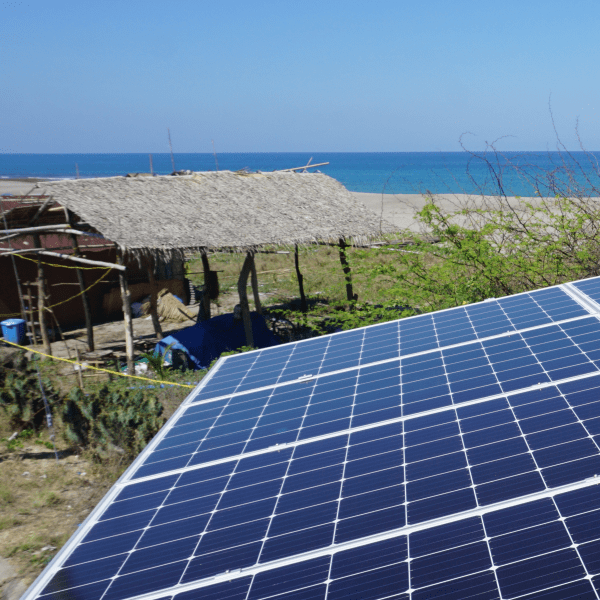 Controlling cost, quality, access and impact. 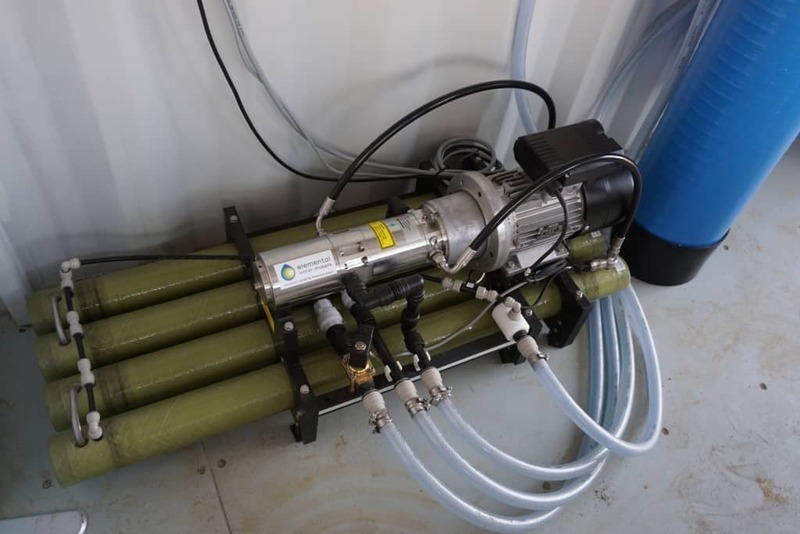 Clean water supply is a major problem in the Philippines, ranking 97th in global access to clean drinking water and having the highest water cost in SE Asia. 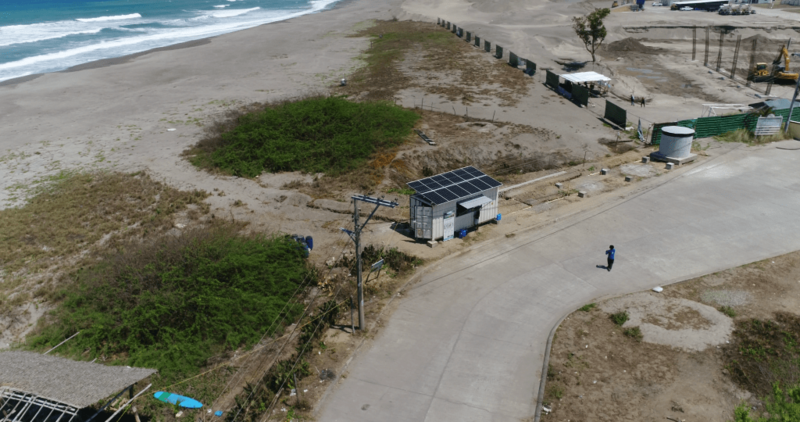 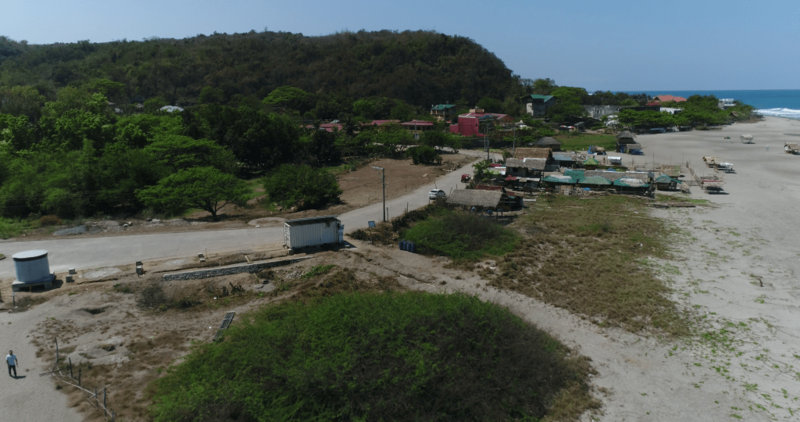 This project in La Union, Luzon enables potable water at lower expenses, while using the unlimited resources of the sea and sun. 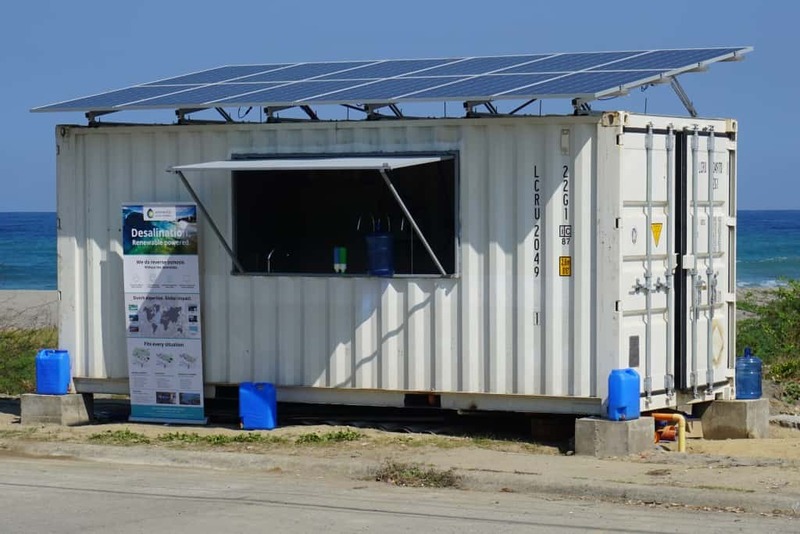 Using a containerized solution which has the solar panels mounted on the roof and the water treatment station inside, the unit was installed within 2 weeks. 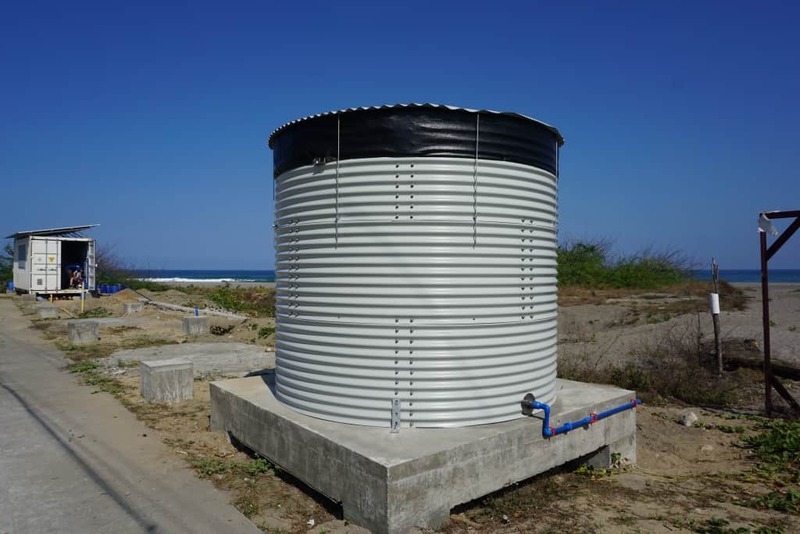 A water tank has been provided to store the clean water on-site. 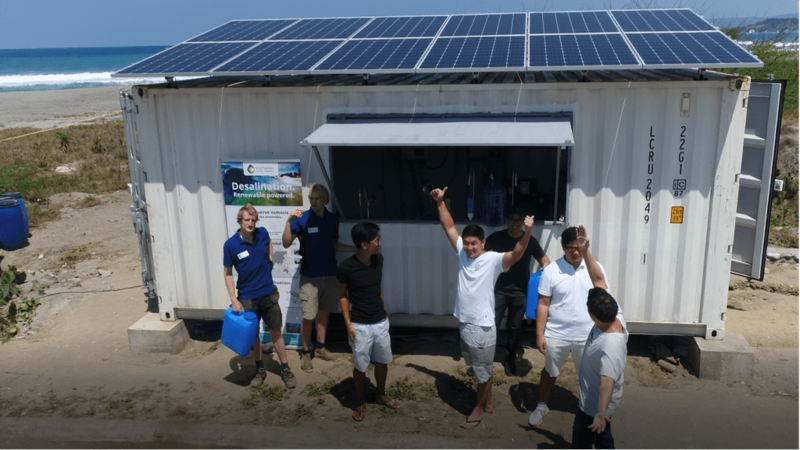 Water kiosk enjoying solar desalination using batteries. 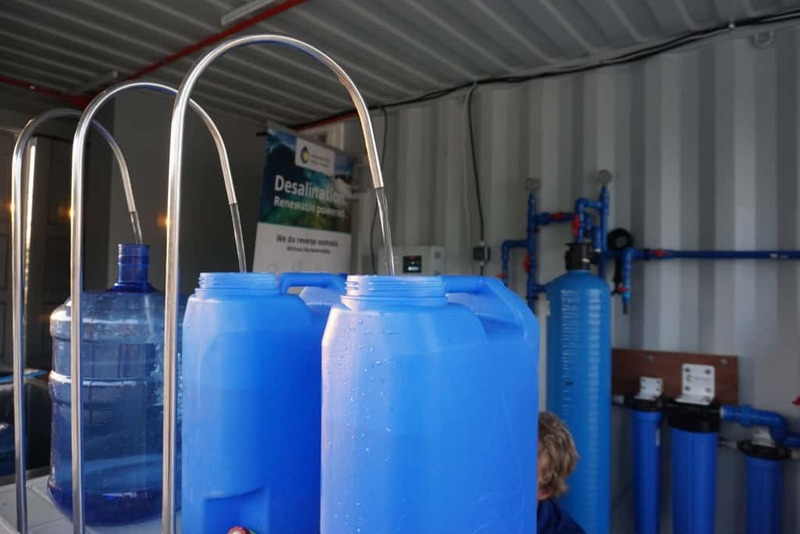 Water kiosk ready for operation. 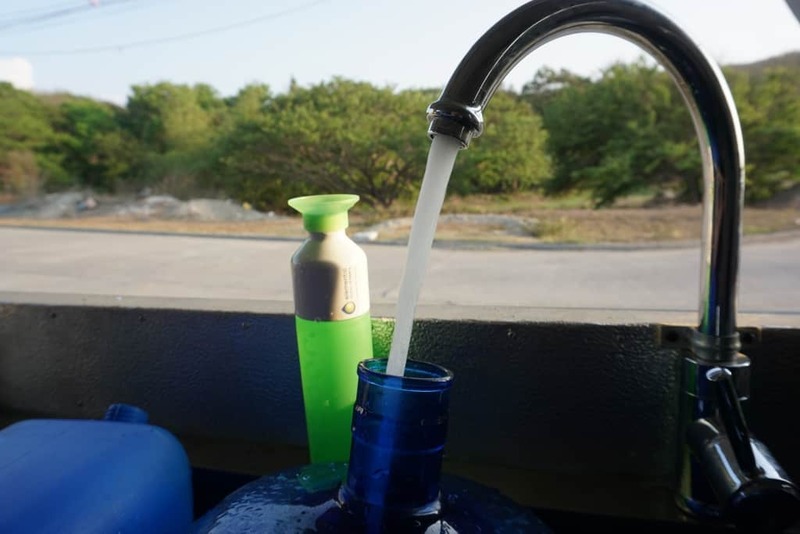 Water flowing out of the tap.